Practice safety first with a KidAlert warning sign. 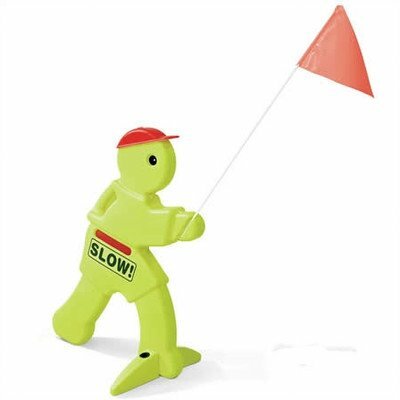 This brightly-colored Visual Warning Signal alerts oncoming motorists that children are at play, and is easy to set up and take down for each play time. Warning flag included.